With procedurally-generated environments that see the labyrinthine streets shift on every run, City of Brass urges players to put their newfound knowledge from every play through to the test. But the challenge can also be tailored to every individual with the Blessings & Burdens system, which provides a wealth of modifiers to adjust the difficulty and game feel with optional modifiers to various game systems, including player health, damage output, item cost, and more. 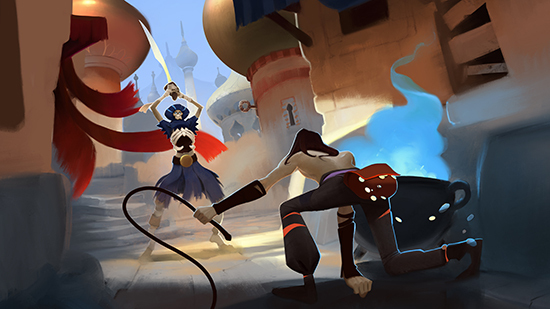 City of Brass, the Arabian Nights-inspired first-person rogue-lite adventure from the BioShock veterans at Uppercut Games, sets out for more cursed treasure on the Nintendo Switch™ Feb. 8, 2019. Trespass into a cursed city to plunder the treasures hidden within. Armed with a bullwhip and blades, lash and slash through legions of the dead to escape the maze like metropolis while avoiding its deadly traps.